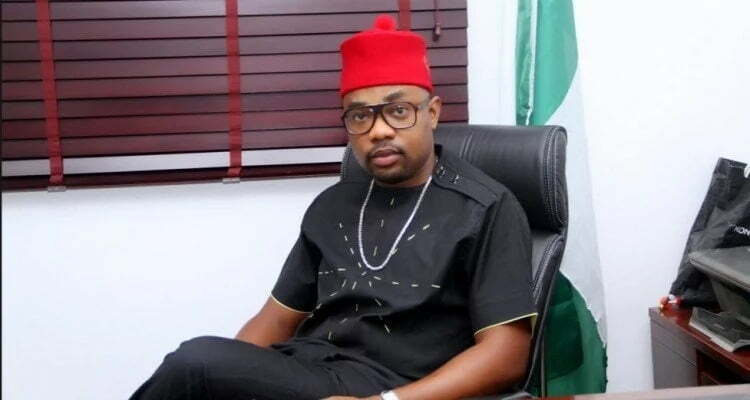 The recent face-off between Governor Rochas Okorocha of Imo State and the 27 lawmakers in the state on Thursday took a new dimension as the legislators suspended the Clerk of the House, Chris Duru. The lawmakers suspended the Duru, who was believed to be working for the governor and the Speaker, Acho Ihim against their interest. At the resumed plenary after the lawmakers boycotted the proposed 2018 budget presentation by the governor, 22 out of the 27 lawmakers supported the motion, which suspended the Clerk with immediate effect. The motion was moved by the majority leader, Lugard Osuji, who represents Owerri municipal state constituency. The lawmakers suspended Duru for alleged “gross under-performance,” which they said was against their (lawmakers’) interest. The Chief Press Secretary to the Speaker, Marcel Ekwezuo, told newsmen on Thursday in Owerri that the legislators took the action because they believed their interest and that of the suspended Clerk were conflicting. “The Clerk of the House, Chris Duru, was, at the plenary on Thursday, suspended by the lawmakers. “The suspension was hinged on gross under-performance, which was viewed to be against the interest of the House. “The motion was moved by the Majority Leader of the House, Lugard Osuji, and supported by 21 other lawmakers,” the CPS said. Another lawmaker told newsmen that, “The Clerk was growing wings. He sees himself as a more important person than the lawmakers. “He opposes our instructions and thinks that he is untouchable.